Our Full Grain Leather is manufactured naturally leaving all scars and blemishes of the natural leather and is considered part of the character and beauty of the finished product. 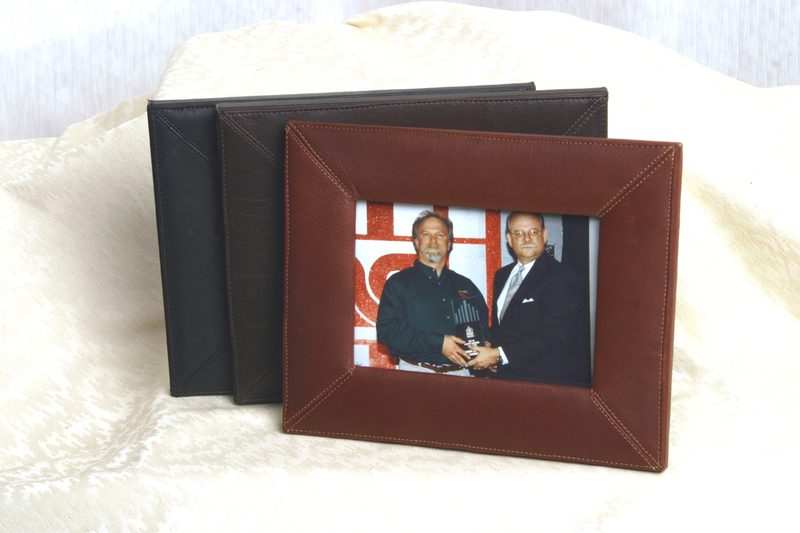 This beautiful Leather Frame is perfect for home or office. Designed to hold a 5" x 7" photograph it includes a backboard easel for easy display.